When one dip is good, a double dipping has to be even better. That's certainly true with our double dipped chocolate covered peanuts. 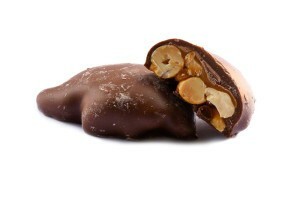 Underneath a thick layer of creamy, delicious milk chocolate you'll find a subtly crunchy, flavorful peanut. 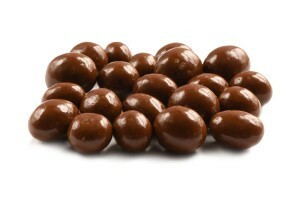 These tasty delights are ideal to package as a gift, use on a party table or eat by the handfuls. DELICIOUS and arrived quickly!! !as good as the gourmet ones I tasted at 13.98 for 12 oz. Second best Double Dipped Peanuts I have tried. Highly recommend these if you can’t get Brachs. Chocolate taste was flat, bitter. The double coating made peanut flavor lost.